The AT&T PBH20 over the ear stereo headphones deliver the ultimate in sound and comfort. With an adjustable head band with extra padding and extra soft ear pads you will never get tired of wearing them. A sleek metal alloy casing houses two high performance neodymium 40mm drivers that deliver full spectrum sound with uninhibited clarity and powerful extra bass. 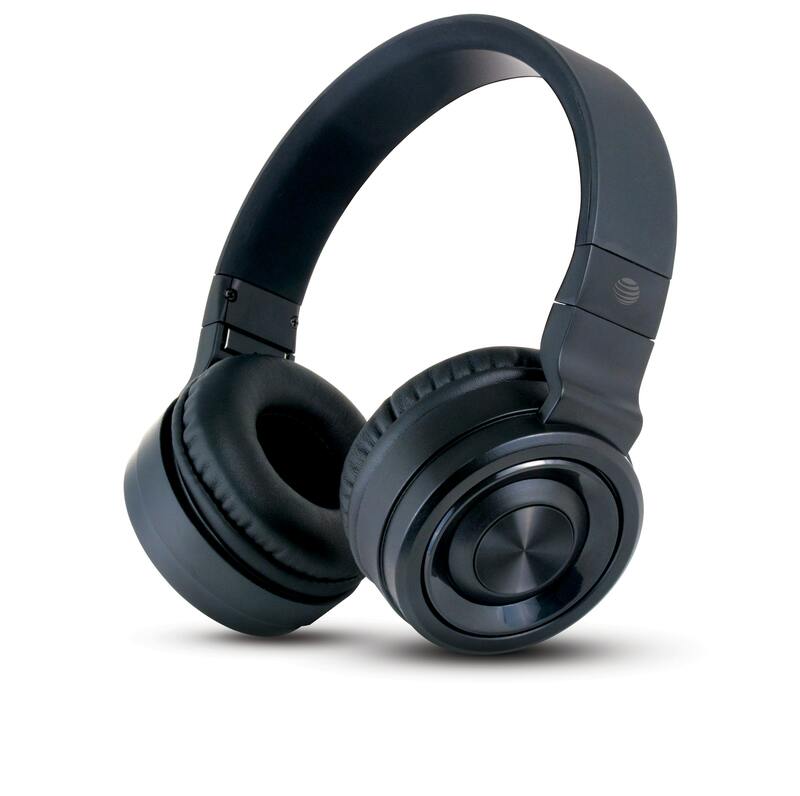 These headphones have advanced Bluetooth 3.0 capabilities that allow for seamless paring with most devices and enable listening to music or answering calls wirelessly. Up to 6 hours of continues music playback time lets you groove for longer. If the battery runs out, no worries, it can be connected with the 3.5mm aux cable as well. It also has a built-in mic for hands-free capabilities. The lightweight ultra portable AT&T PBH20 is compatible with all types of Bluetooth enabled devices, including MP3 players, laptops, tablets, Smartphones and more. The headphones are designed to deliver distortion-free audio and are your perfect companion every day at work, at home and on the road. 12-month warranty & friendly customer service team will be there to serve you.